While driving around Landmark, I stumbled upon this new salon! Called Princesses Salon, I was intrigued and checked it out. 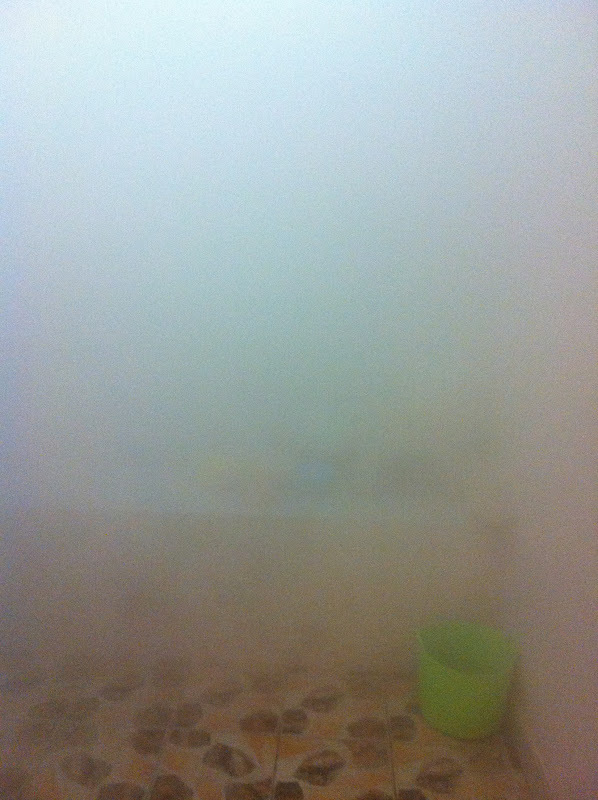 I tried a Moroccan bath (150QR) for the first time. They have built a real Moroccan bath house right inside the villa--amazing! The owners of Princesses Salon are two Moroccan women who know top quality and know everything about real Moroccan baths naturally. They are definitely experts, and not just with the baths. They have extreme attention to detail for all things beauty and the staff are friendly and quality. In addition to the Moroccan baths, they have everything and I mean everything including manicure, pedicure, hair, eyebrows, make-up, henna, waxing, massage, facials, and more... 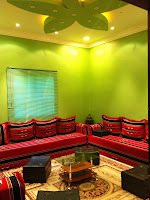 So far I've also tried a facial (300QR) and a massage (100QR), both were excellent. For the massage, they heated the oil beforehand which was super nice and something I haven't encountered before (even during massages in Thailand!). 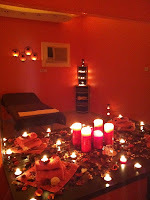 The massage room was also so pretty and lit up with candles that I had to take a photo and they didn't mind at all! The owners were at the salon when I was there and they speak excellent English so it wasn't a problem at all with any of my questions. Overall, the prices are decent for the really good quality and kind atmosphere. massage room, relaxing room, and Moroccan bath steam! LOVE trying out the local salons and skipping the expensive hotels. I'll definitely be giving this one a visit this week as it's very nearby. AND thanks for sharing this great info with my readers, too! Thank you :) Yes, it was a great experience! Hi! I am pretty excited to try this salon because of your review. Thanks!! You sure did a good work in advertising for them and must agree they do have good service, Although a warying thing is that in moroccan bath they use one leafa on several bodies if not so you pay QR 50.00 for it; Does Hygiene mean anything to them, its SHOULD NOT be optional to get a new leafa! Get the client to buy their own leafa to always bring with them next time(BUT QR 50.00!! That's pretty expensive for a leafa - its costs QR 20.00 in Dubai in most expensive salons too.) Good thing I have several leafas with me from Dubai. Thanks for the review. My appointment for a Moroccan bath is next week, I am looking forward to it. I have a question, was the procedure for the Moroccan bath the following?? : someone will first wash you with savon noir (black soap) and then use a gommage or scrubbing glove to scrub all the dead skin off your body. The salon is for women only. Sorry.